I’m absolutely thrilled and delighted to have won a Shirley Jackson Award for short fiction! The awards were presented on Sunday alongside Readercon. 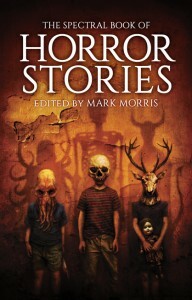 The award was given for The Dog’s Home, which appeared in The Spectral Book of Horror Stories, edited by Mark Morris. The short fiction award presentation can be viewed at Youtube. Sadly I couldn’t be there in person, but I did send a short speech. Many thanks to all involved – it’s a real honour!